What Is the Fundamental Value of Revlon Based On Expected 2019 Results? What Are Revlon’s Key Sources Of Revenue? Why Is Revlon’s U.S. Business Important To The Company And What Steps Is It Taking To Revive The U.S. Sales? Revlon (NYSE: REV) reported its Q4 earnings recently, where its top line posted a decline of 5.7% in net sales to $746.1 million, compared to $786.6 million during the prior-year period. On a constant currency basis, net sales declined by 3.7% driven by several one-time items including lower net sales in the Revlon segments due to a shift in timing of customer resets from the Q4 into late first quarter of 2019, and lower net sales in the Fragrances segment driven by several expired brand licenses in 2018. This net sales decline was slightly neutralized by strong double-digit growth in the Elizabeth Arden segment, particularly within e-commerce, Travel Retail, and strong results in China. Revlon has been continuously putting effort toward strengthening their business strategy and putting forth efforts to stabilize their business operations. We are seeing strong growth prospective in their strategic focus areas as they continue to work toward building momentum across their businesses. Revlon’s Elizabeth Arden segment brand has performed well in Q4 driven by new launches and a strong digital presence. Its net sales rose 18.2% to $156.3 Mn, primarily driven by higher net sales of Elizabeth Arden skin care products, including Ceramide and Prevage, principally in international markets. Revlon is on track to attain integration synergies by 2020 in restructuring and related charges in connection with implementing actions under the Elizabeth Arden Integration Program in Q4. With the initiatives adapted by Revlon for a brand makeover, the company is positive that the new changes will now steer Revlon towards the path of growth in 2019 and beyond. 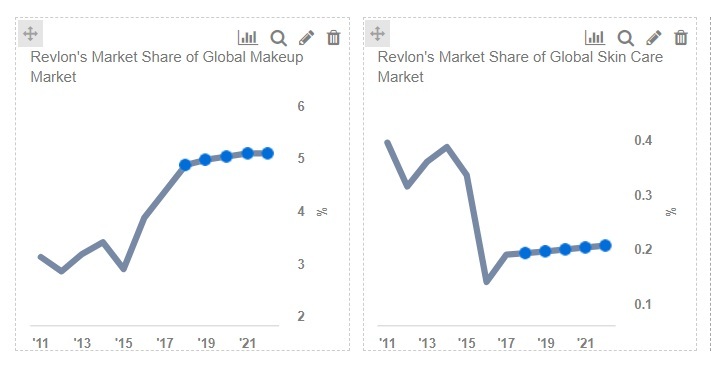 Please refer to our dashboard on Revlon’s Q4 Earnings. Segment-wise performance in Q4 – Net sales for the Revlon segment decreased by 13.3% y-o-y to $261.4 million, driven by a downturn in the net sales of Revlon color cosmetics and Revlon ColorSilk hair color due to the impact of declines in the North America mass color cosmetics category and a shift in timing of customer resets from Q4 into late first quarter of 2019, with a slight growth in net sales in Revlon-branded professional and haircare product lines. 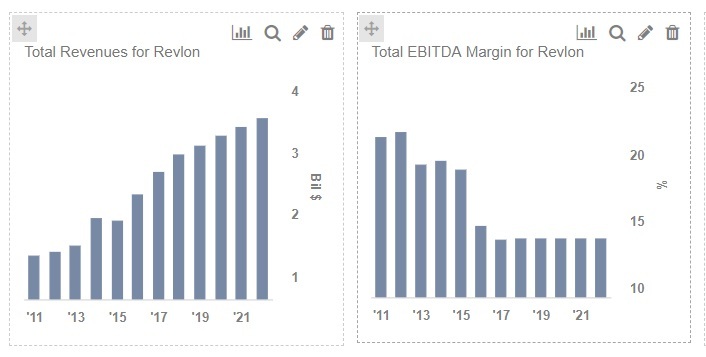 Elizabeth Arden net sales, on the other hand, increased by 18.2% on a y-o-y basis to $156.3 million compared to the prior-year period, driven by an increase in net sales of Elizabeth Arden branded skin care products internationally. Portfolio segment net sales decreased by 6.8% y-o-y in Q3 to $144.1 million due to weakness in net sales, primarily driven by a decrease in net sales of local and regional brands, as well as CND gel nail color, partially offset by higher net sales of Almay color cosmetics, American Crew men’s grooming products, and Mitchum anti-perspirant deodorants and Cutex nail care. Whereas the Fragrances segment net sales decreased by 9.3% to $179.8 million y-o-y, driven by a decline in the mass retail channel and the prestige channels. Decline in International Markets – Total International Sales of the company saw a y-o-y decrease of 5.5% in Q4 driven by a decline in sales of Revlon, Portfolio, and Fragrance segments. On the other hand, Elizabeth Arden segment’s International net sales of $116.9 Million in the Q4 of 2018 increased by 22% compared to the prior-year period, primarily driven by higher net sales of skin care products within the EMEA and Asia regions esp. in China. Digital Initiatives – Revlon is getting more aggressive in digital and e-commerce initiatives by setting up a new team of digital professionals, realizing the importance of digital progress and social media in a brand’s reach and popularity among its clientele. 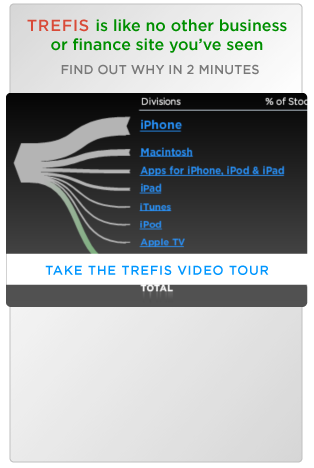 Along with increasing ad investments, the company is also shifting most of its campaigns to the digital platform. Recently, Revlon collaborated with a leading digital consultancy, Sapient Razorfish, to create a stronger digital presence. These factors are positively working in its favor as an increasing number of customers are buying beauty products online. Outlook for fiscal 2019 –Revlon is expected to reap stronger results in 2019 and beyond from the Elizabeth Arden integration and thus post healthier results in the coming quarters.